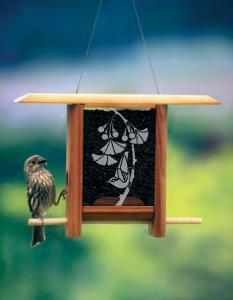 Bring art and nature together in your backyard with a Schrodt bird feeder. 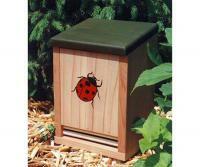 Every Schrodt feeder is made with the best material and carefully inspected by hand to ensure quality control. 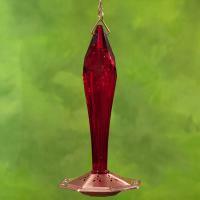 The faceted glass hummingbird feeders are unique designs patented by the company, which is why people often marvel at the interesting construction and form of the feeders. 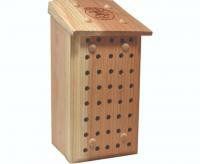 Along with bird feeders, Schrodt also makes ladybug houses, bee lodges, butterfly houses and much more, so you can invite all kinds of wildlife into your yard. 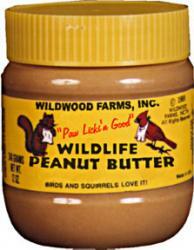 The birds love it. It is made well. 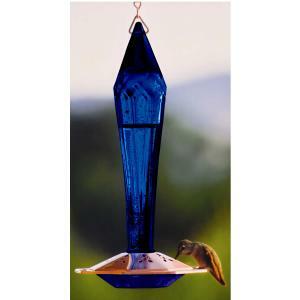 I have had the feeder for over 10 years, and live in Scottsdale, AZ where temperatures in the summer are most often over 100 degrees. This has been a wonderful feeder, however after all these years I need to purchase another as the bottom under the metal feeding area is plastic and the heat has caused the outer flange to disintegrate. I definitely recommend this style for both beauty and use. I have hummers all year long. 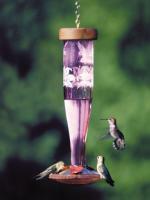 The Schrodt feeders are by far the best hummingbird feeders I've encountered. I've used them for years and order them again and again. They are attractive, sturdy, and most importantly, easy to clean (though you do need an assortment of brushes). Yes, sometimes part do wear out and need to be replaced.. but this usually doesn't happen for several years! 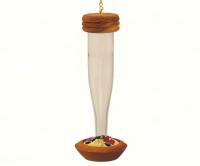 i enjoyed this feeder so much that I wanted to get another one just like it. It is so beautiful and the hummies can be still and drink, because of no rain, there were no flowers and no food for them, so I wanted to give the hummies another place to come and drink. 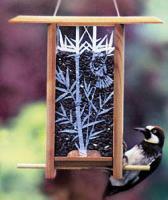 Now I have two beautiful feeders on my deck. Haven't had time to put them to use as of yet. 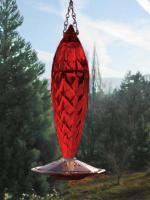 Beautifully made and looks high-quality. Good instructions. Hung it up a month ago...no batsnyet, but still hopeful! 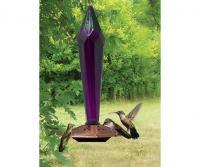 I bought this feeder many years ago after trying several feeders and this one is a hit with all the hummers year round. I've gotten more hummers visiting that we refill it constantly and enjoy all the little ones as they visit and if it runs low they do love to stay at the back door and let us know "Hey, what is going on here". Love the product and recommend it. 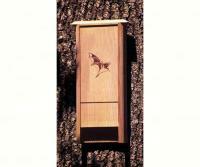 The quality and the construction of the bat house is well done. We have not put it up yet but are looking forward to having a family in it soon.